Urbanna was one of the twenty port towns established by an act of assembly in 1680. It was from these ports that tobacco was exported to England for European goods. In Middlesex on the West Side of Ralph Wormeley's creek against the plantation now known as Rosegill, was the authorization for this town’s 50 acres to be purchased for 10,000 pounds of tobacco and be laid out for a town, with lots no larger that one-half acre, plus a storehouse and fort. Seven building in town have been in continuous use since the colonial period. Four of them are on the National Register of Historic Places. Built in 1766 this is one of the oldest surviving mercantile structures in American associated with the sale of tobacco. Before the emergence of the Scottish factors, tobacco and other crops where shipped directly from the large plantations to England in exchange for goods on the return voyage. The Scots established stores where tobacco was exchanged immediately for cash and credit with which to purchase imported goods for sale. The restored building now serves as the Town’s Visitor Center. 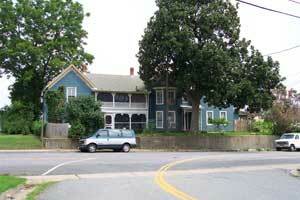 The Gressitt House was probably constructed in the 1740’s and was once home to Urbanna’s Harbormaster. William Clark left here to join Meriwether Lewis in their expedition to the Northwest Territories. 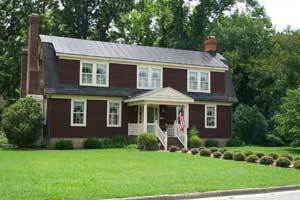 This home still retains its original cypress flooring. 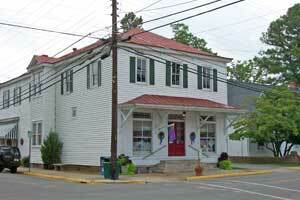 This was the Customs House for the colonial port town of Urbanna. There is evidence of a window inside where custom office business may have been conducted. A vault with a heavy wooden door and hardware was under the basement stairs until 1935. Bristow Store was built in 1898. The store sold coal, cord wood, railroad ties, harnesses, and horseshoes. The grocery section offered live chickens, salted meats and fish, and flour and sugar scooped out of barrels into brown paper bags. The Post Office was once located in what is now the shoe section of the store. Merchandise is still displayed in the original storefront windows and on ceiling-high shelves reached by ladders that roll along original wood floors. 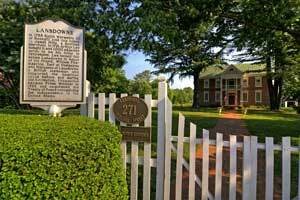 >One of the oldest surviving buildings in Urbanna and one of only eleven colonial courthouses still standing in Virginia today. The Courthouse was built in 1748 when Urbanna became the county seat. Original stain glass window. Lansdowne is one of Virginia’s finest early Georgian-style mansions and believed to have been built as early as 1750 and was home of Authur Lee, a prominent member of Virginia’s Lee family. This is one of many notable Victorian era buildings that attest to the prosperity Urbanna enjoyed as an oyster processing center in the late 19th and 20th centuries. Lord Byron Van Wagenen, schooner captain whose family owned an oyster house and a pickle factory, built The Marble House at the turn of the century. It gets its name from the use of marble that steamboats carried here from Baltimore to adorn its porches, steps and basement. 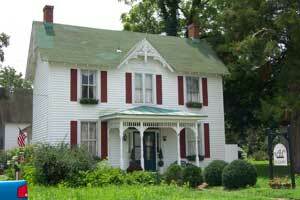 This is believed to be the oldest surviving house in Urbanna. It was probably built around 1747 when Ralph Wormeley bought the parcel. 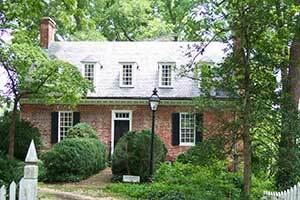 Arthur Lee acquired it in 1791 and may have used it as the Lansdowne plantation office. 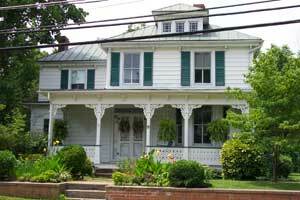 Charles Palmer built this home for Captain James H. Bohannon in 1880. Bohannon was commander of the Legonia, an ocean going schooner owned by William B. Hurst of Baltimore. 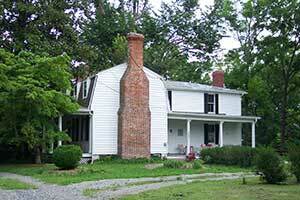 The Tavern was built in 1740’s when a night’s lodging was five pounds of tobacco or six pence. 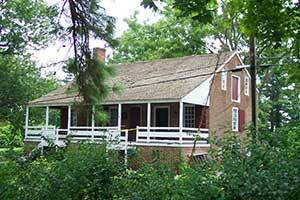 Local legend has it Patrick Henry delivered a speech from the steps of The Tavern. 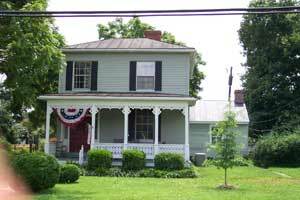 The Tavern was the site of a Civil War ball given for Confederate officers camped just outside Urbanna. When it came time for refreshments all they had to serve was sweet potatoes. 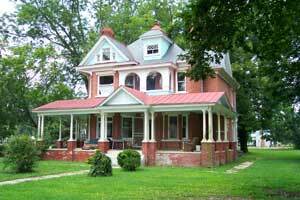 In 1876 Charles Palmer designed & built this house for Mr. & Mrs. R.S. Bristow. Bristows were the first family in town to have a camera and electricity. 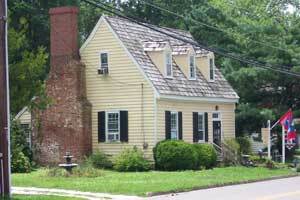 The block outbuilding behind the house contained batteries that provided electrical service to the house. Mr. Bristow established Bristow’s store. Charles H. Palmer crafted and designed many of Urbanna’s most distinctive buildings between 1874 and his death in 1904. These include Bristow’s Store, Baptist Church, The Bristow House, Atherston Hall and this, his own home. With the advent of the steamboat era in the 1870’s, passengers as well as cargo found their way to Urbanna. The Town became a popular summer resort. The Burton House was a popular place to stay. 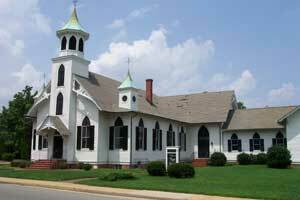 There was no church in Urbanna until the courthouse was turned into an interdenominational house of worship in 1852. 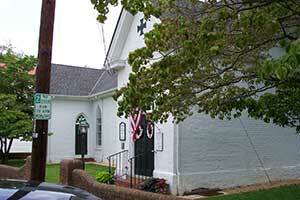 Prior to that time Anglicans worshipped at Christ Church, several miles east of Urbanna. Charles Palmer built the Baptist Church in 1892 with his own hands and hand tools for 10 cents an hour.